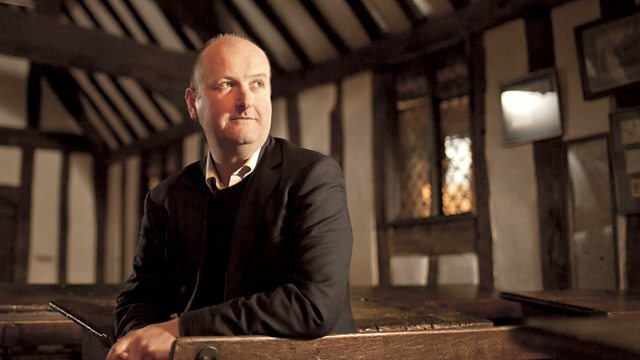 Dr Ian Mortimer takes viewers on a journey through this golden age of English history. He explores a new section of Elizabethan society, the middle class. In the final episode of the series, Dr Ian Mortimer travels through the world of a new and upwardly mobile section of Elizabethan society - the middle class. In a groundbreaking new way of exploring history, Ian takes viewers on a present-tense journey through this golden age of English history. Along the way he visits Stratford-Upon-Avon and reveals how urbanisation improves ordinary people's lives. He drops in at Shakespeare's school to uncover how education transforms society and explores how this age of discovery helps spur a scientific revolution that creates a new world. Ian also transports viewers to the electrifying world of Elizabethan theatre at Shakespeare's Globe and tells the dramatic story of how English imperial ambitions leads to the Armada and the threat of Spanish invasion.